So often, the key issue The Legal Genealogist faces — like any other genealogist — in trying to answer a question is how to distinguish person 1 from person 2. And so often some or all of the answer can be found if we just knew how old the particular person was. Thar’s one of the topics I’ll be talking about today as the Montana State Genealogical Society‘s 2016 conference gets underway in Missoula. And finding the clues in the laws is always my focus. 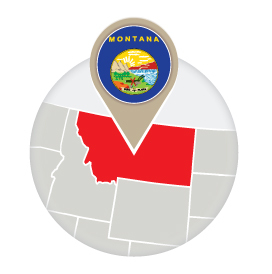 Let’s look at just one single volume of Montana state laws — the laws passed in early 1891 at the Second Regular Session of the Montana Legislature after it became a state.1 And take a look at the clues we can pull from just this one volume. And that was all in just one single volume of laws. Each provision could provide a critical clue to figuring out which person was the right person: was this one old enough to do what we know some person of that name did? Even if it’s not a birth certificate with a specific date of birth, any clue that can help us narrow down an age range is worth following. Sometimes your footnotes are the best part, especially #1.